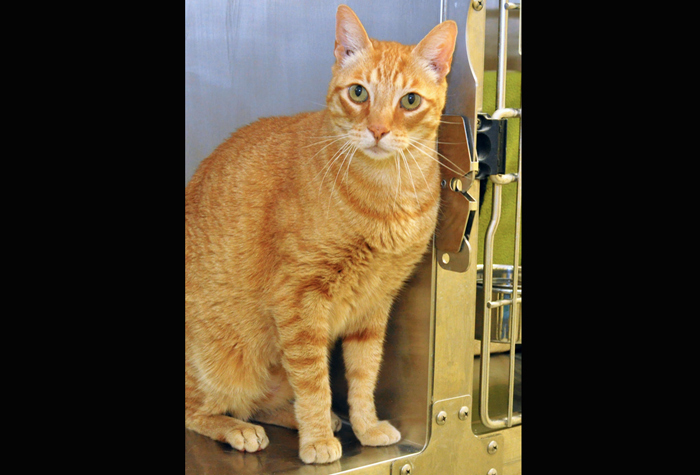 Marvin is a big handsome 8-year-old orange tabby with green eyes. He is a friendly, talkative, confident, gentle, and affectionate kitty who loves attention. This nice boy gets along with other cats and with dogs.